Back in February, I promised Pudge a trip to Paris this fall along with a side trip to Amsterdam to see the Anne Frank house. At the time, I didn’t know we’d be living in Paris, so I planned it into his home school curriculum. Things have worked out a little differently, but last Tuesday, Bug and I packed up the boys for an overnight to Amsterdam. We took a 2pm train for Gare du Nord and arrived around 5:30. 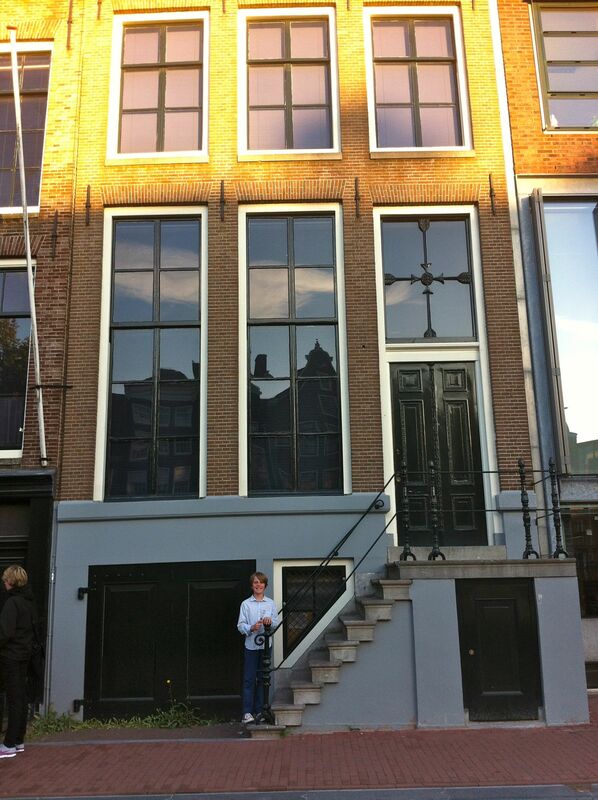 After dropping our things off at the Pulitzer Hotel, we walked a block along the canal to the The Anne Frank house. We’d been warned of the long lines at the house, so we reserved tickets for 7pm, but to our surprise, no one was there. We had the Annex pretty much to ourselves. 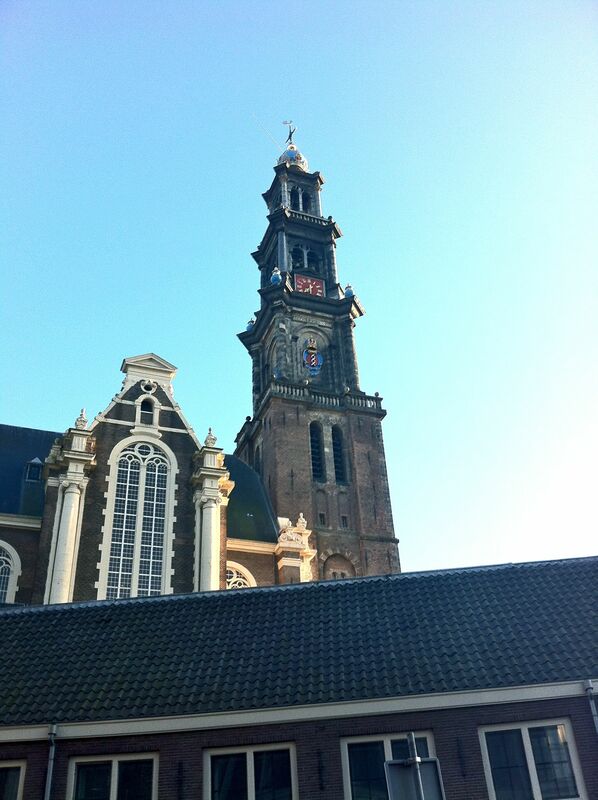 A few meters from the house stands a huge church with a bell tower that tolls every hour. Just outside the front door, a busy canal bustles with activity. All around the house, life rushes past, noisy and boisterous. But up there, in the Annex, there was no daylight. No noise. It was living life as a ghost. I can’t even imagine. I just can’t. After leaving, we had a traditional Dutch dinner. 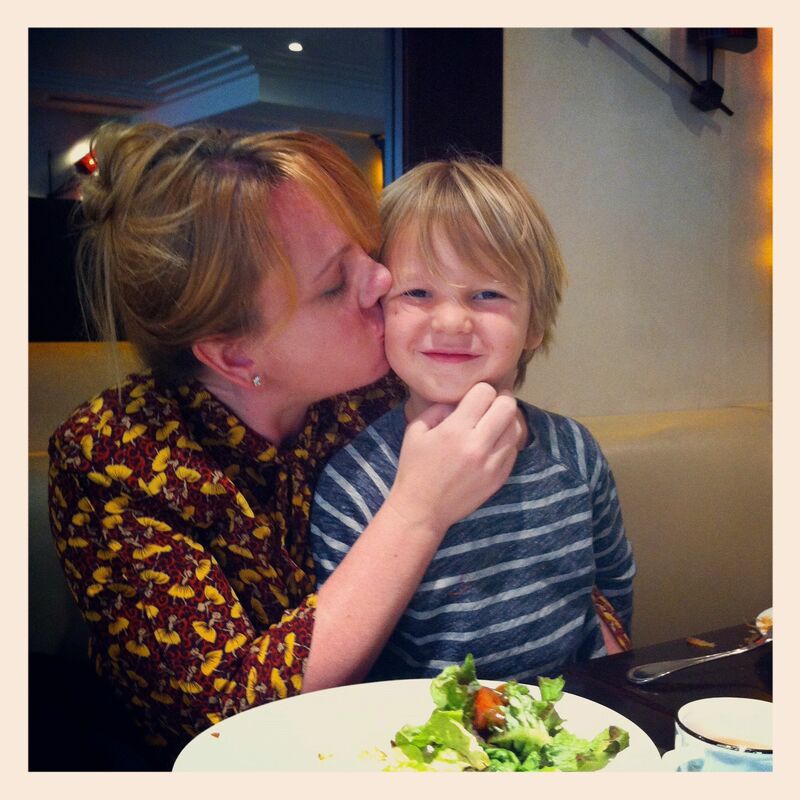 Pudge and I were thrilled to see several vegetarian options (something Paris lacks). Because it was nearly ten when we finished eating, Bug and I dropped the boys off at their room instead of trying to do more sightseeing. I was nervous about leaving the three of them in a room across the hall, but they went right to sleep and played quietly the next morning until Bug went to get them. 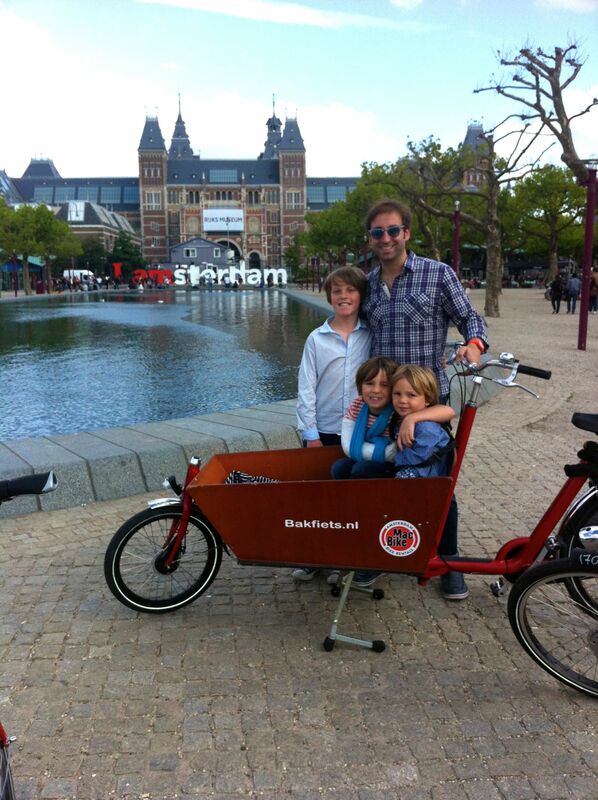 The next day, we rented bikes and peddled around Amsterdam. 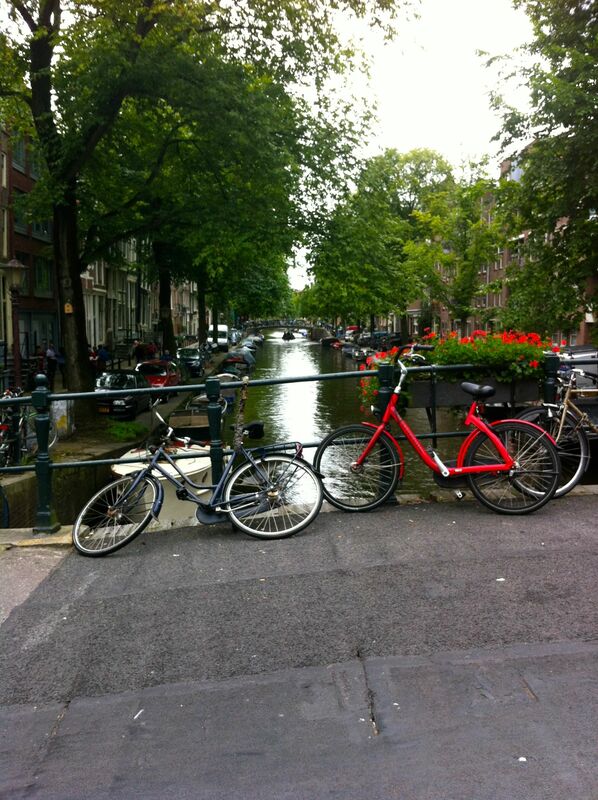 I have never, ever seen bike culture like in Amsterdam. No one wore helmets despite the thick throng of bikes, Vespas, pedestrians, and cars. Half the time, I couldn’t figure out if I was supposed to blow through an intersection, pause, follow car rules, or what. I think the other bikers hated us and our confusion, but we had fun. It was the first time Bug’s been on a two-wheel vehicle since his accident and he was hands-shaking nervous. But he swallowed his fear and rented a cart-bike to peddle the two youngest boys around. After about ten minutes, he was riding like a pro and we were all very proud of him! A bike chariot for our broken arm Fox. 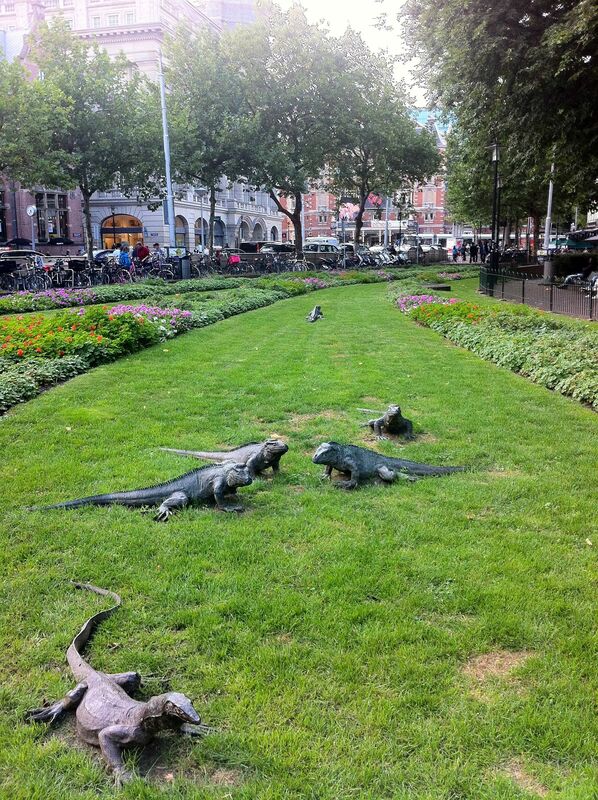 The boys thought these were real at first! Amsterdam really is a biker’s paradise. We followed a bike path to Vondelpark and took a little break so the boys could climb trees and run around. 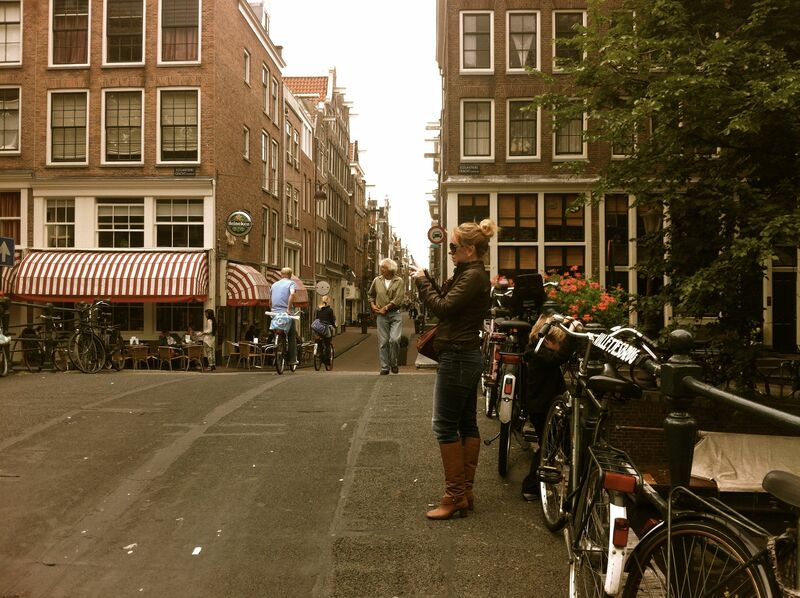 One thing Bug and I loved about Amsterdam is how relaxed it is. After being in formal Paris for a few months, being in Amsterdam was a lot like ending up in a favorite auntie’s home – comfortable, warm, and lots of fun. We all loved the canals and boats and flowers and bridges. There is a gorgeous view around every corner. Notice all the bikes parked behind me. I have to leave France on Sept. 20th to not run afoul of immigration laws. My friends keep telling me to pop over to the UK, get a stamp, and re-enter France, but since Bug has time before starting his new job, we’re playing with the idea of traveling more. For the first time in years, we’re free to go and do whatever we want. No jobs, no school calendar, no expectations. We don’t know where we’re going to end up, but I’m looking forward to the adventure. Great post. This brings back so many memories of traveling with our boys. The room across the hall especially.